Stunning secluded home on 2.57 acres! Seclusion, Views, Outdoor Entertaining! Is this what you are looking for, look no further. 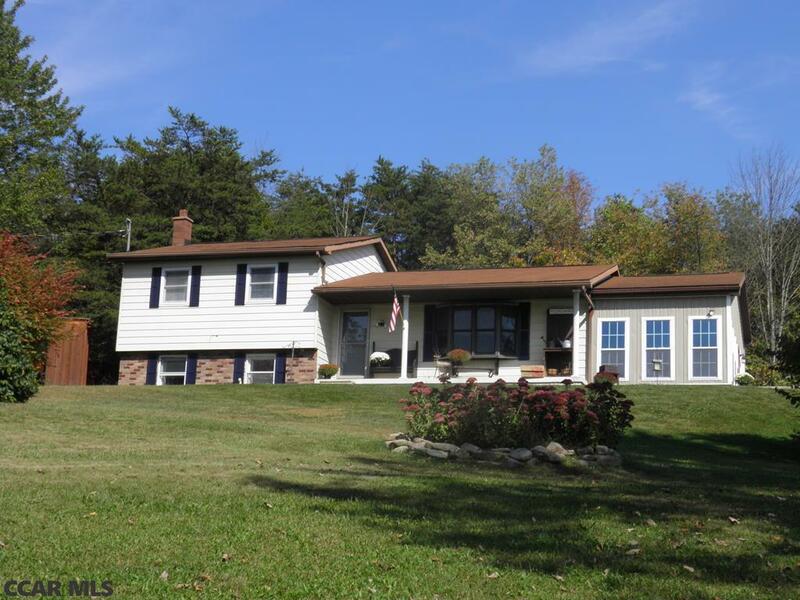 Amazingly maintained Split level w/amazing mountain views, no neighbors in sight, & located minutes from Williamsport! Work in town & enjoy all the privacy the country has to offer. Interior has stunning four seasons room, open dining room/living room, adorable kitchen, 3 beds w/one having shelving & being used as a walk in closet, 2 full baths, family room in lower level w/auger fed coal stove to supplement heating, tile floors & wall to wall carpet. Tons of natural light! Home includes washer and dryer. Exterior has 2 car garage, storage shed, amazing concrete entertainment patio w/beautiful stone work and iron railing, above ground pool, pergola, and surrounded by peaceful woods. Enjoy the privacy this home offers! Sit in the four seasons room or front porch & enjoy view of mountains and woods!